Everybody loves the classic look of grid-based quilting designs. 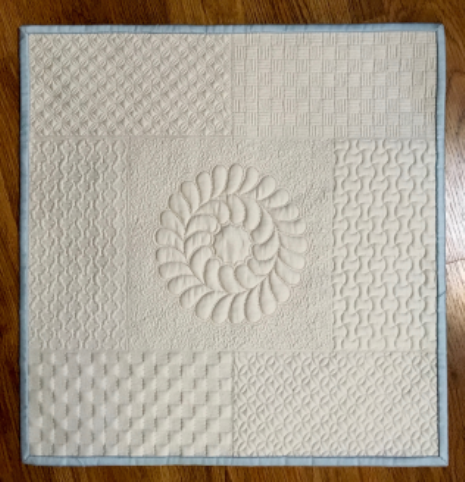 In this one-day class, you will learn 6 different gridded quilting designs that you will incorporate into a small quilted wallhanging. All designs will be based on a ½” grid. These designs can be used by any and all quilters, whether you’re a domestic machine quilter, a long-armer, or a hand quilter. You’ll be amazed at the beautiful designs you’ll master!